The kids are grouped in teams of similar ages. This is the perfect way to make team play great fun and introduce kids to organized team sports. 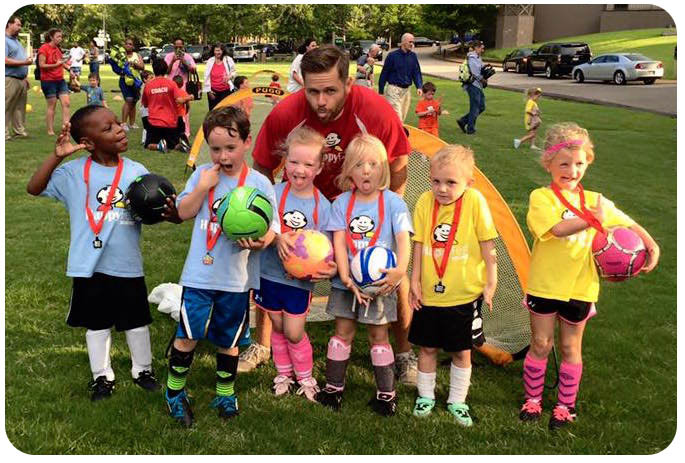 They have a blast because they’re familiar with their HappyFeet coach, the HappyFeet approach and their new friends! The League is open to all children 3 to 5 years old. ATTIRE/GEAR Soccer Cleats, Shin Guards, Athletic shorts, Size 1-3 Ball are required. No reimbursements if League is cancelled due to weather conditions. We will make every effort to reschedule any make-up day but not guaranteed.